It's officially summer! Literally, June 21st is the first day of summer! And to honour this summer kick off and the marking of snow begone, ToFoodies has got a summery giveaway. For those not in the know, Granville Island Brewing is the the oldest microbrewery in all of Canada. It began 1984, long ago but also the future according to George Orwell. 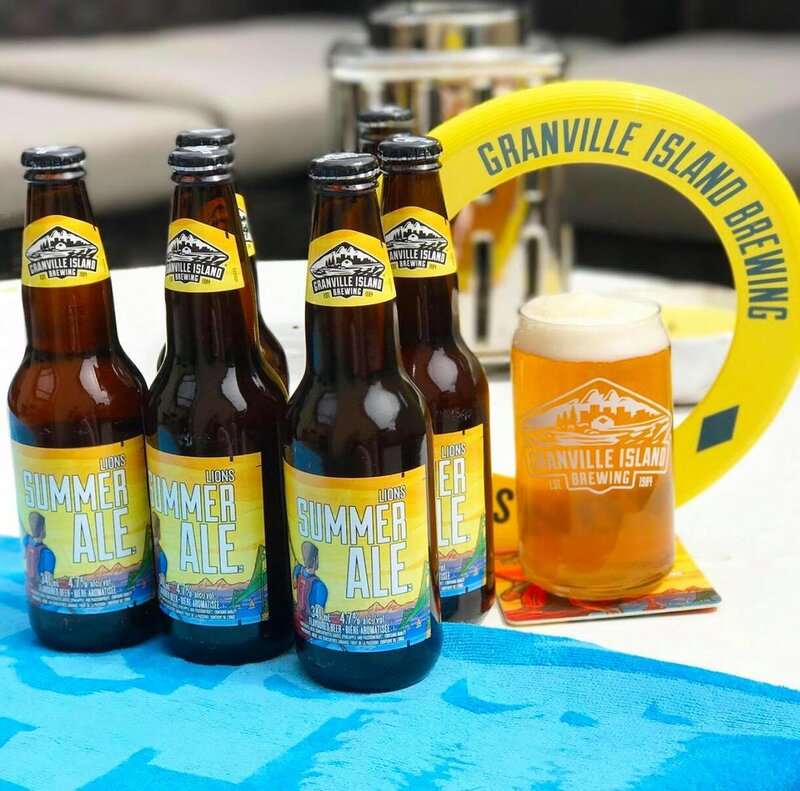 And to show their excitement about summer, Granville Island Brewing just launched the Lions Summer Ale (I also teased this contest earlier in spring), just in time for the Canada's real favourite season. Seasonal small batch releases are an important part of Granville's continuous beer line up, and these special offerings are a big reason why this brewery special. They don't rest on their laurels! This Lions Summer Ale release continues that tradition. A good Canadian beer! Just in the nick of time for #Canada150, too. Trying the beer myself, it certainly is the perfect patio beer. It feels light, a bit fruity, yet with those wheat accents you know, love and expect in a beer. The dark glass bottle helps protect the beer from the sun, leaving cool and crisp. So yes, it's even engineered to be enjoyed in the great outdoors. And at 4.7% in alcohol content, it definitely packs enough of a punch without tasting like it. Easy drinking at its finest. The Lions Summer Ale comes in a tall can, small can or bottle so you you can pick whatever floats your boat, or whatever you think would fit best on your boat. Back to the contest/giveaway and how WE can help YOU. To assist YOU with having a lit and breezy summer, we have a prize pack with many items that will enhance your summer fun. Each of these items will appeal to you five senses: sight, smell, taste, touch, and sound. To enter the contest, follow the instructions on the @tofoodies' latest Instagram post. With just a couple follows, a like and comment... all of this could be yours! And if you don't win, you can just as easily find Granville Island Brewery's offerings at your local LCBO or if you're from another province, you can find your fave GIB here.